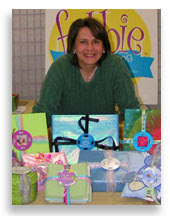 If all goes well the Fobbie will be featured on the Today Show on December 2, 2009, during a Holiday Gadget segment with Kathy Lee Gifford and Hoda Kotb. So tune in! I have linked to your blog to help my visitors gift wrap more efficiently this Christmas. Would you please help if someone gets referred to your blog from mine?